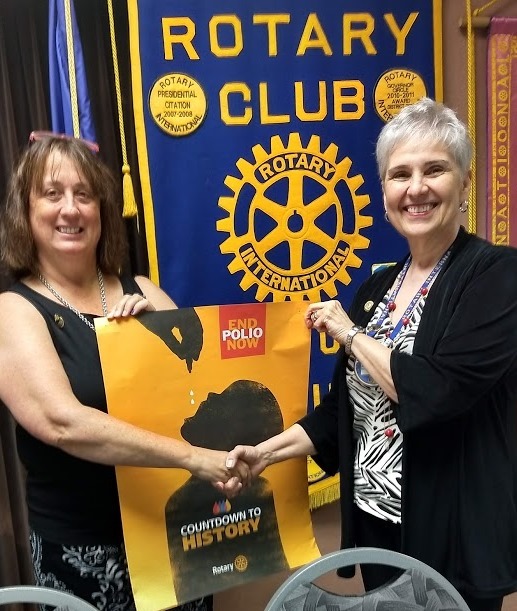 Colleen Bonadonna (l), the District Polio Chair, gave a passionate talk about why she participates in the National Immunization Days to eradicate polio. Rotary has partnered with the Bill and Melissa Gates Foundation, the World Health Organization, and others to eliminate this disease. When started in 1988, there were 350,000 cases worldwide. So far, there have been 11 cases (8 in Afghanistan and 3 in Pakistan).